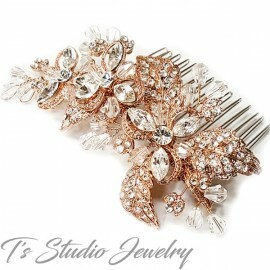 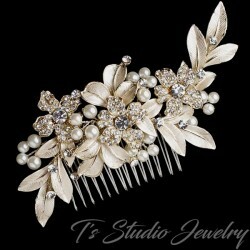 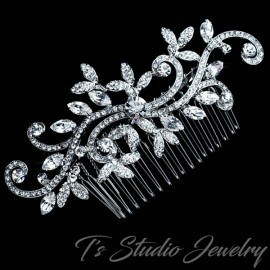 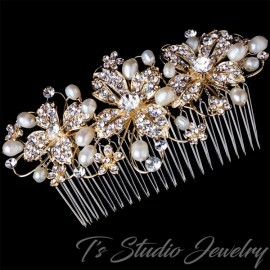 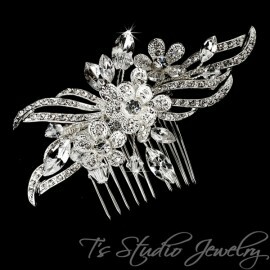 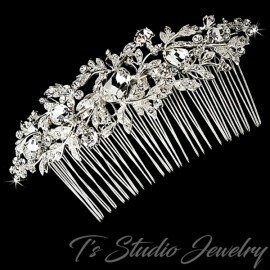 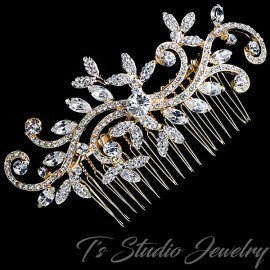 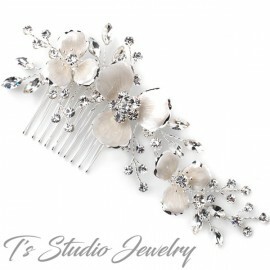 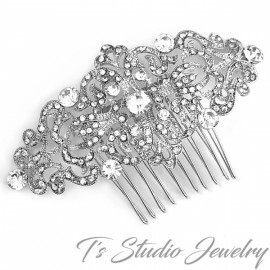 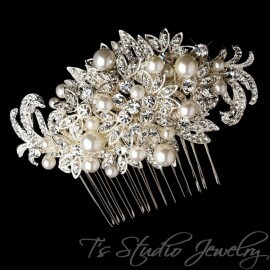 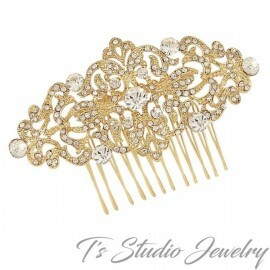 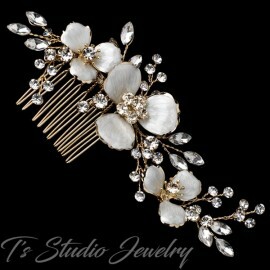 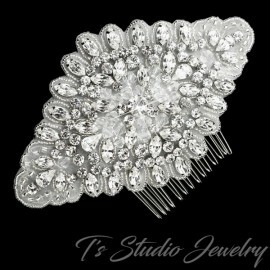 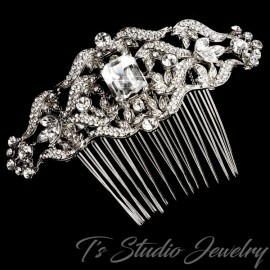 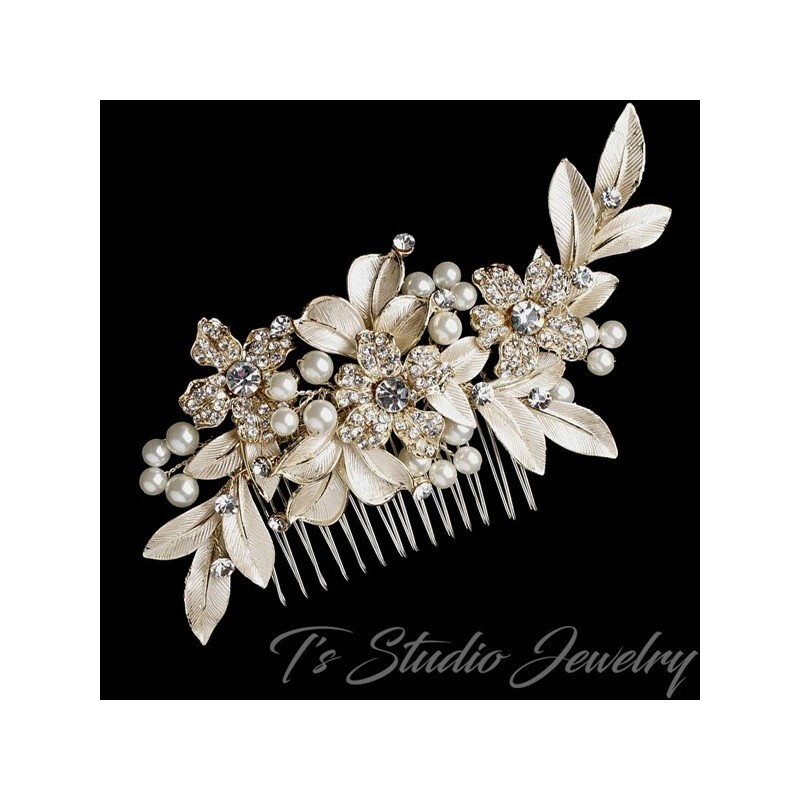 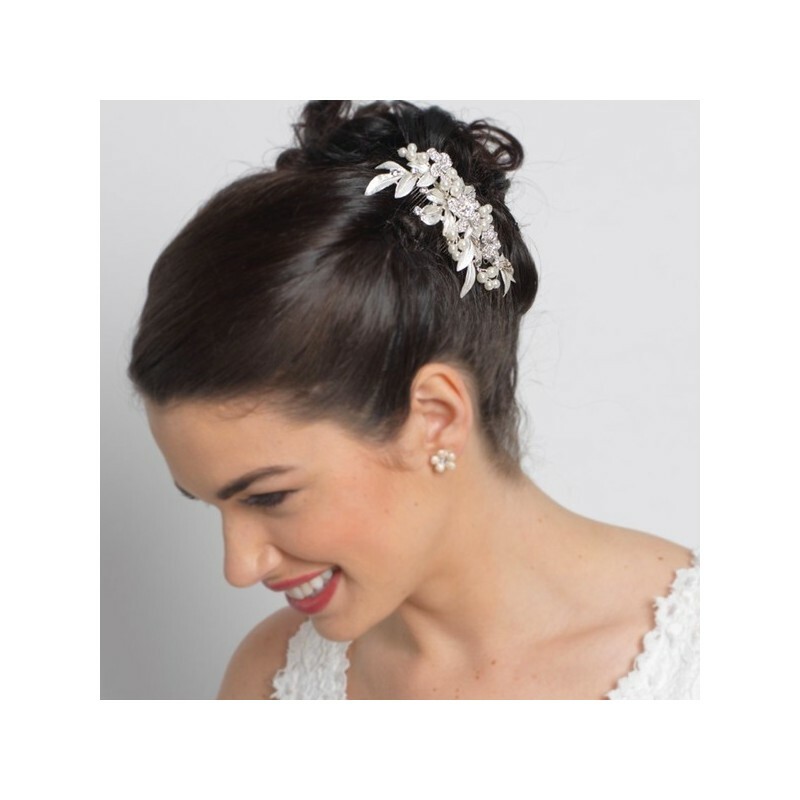 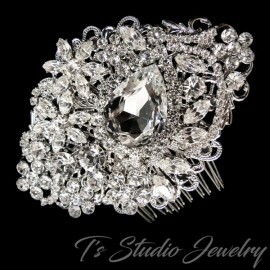 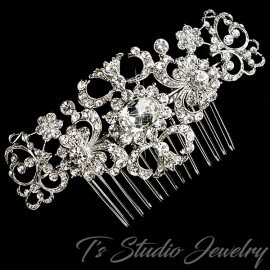 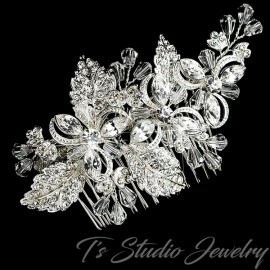 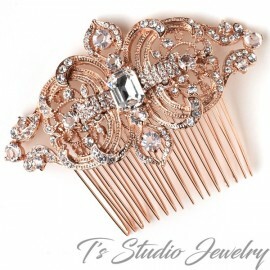 This breath-taking gold comb features an incredibly elegant floral pattern with sparkling rhinestones. 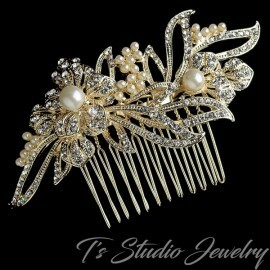 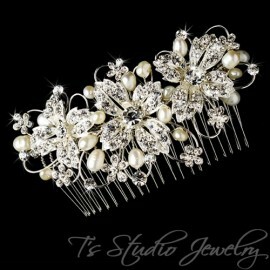 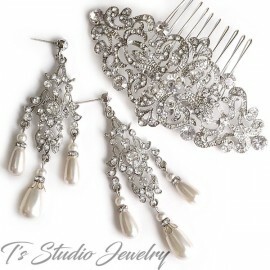 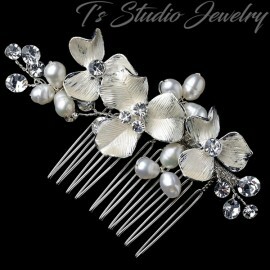 Ivory pearls also accent this piece quite nicely, giving it a very sophisticated look. 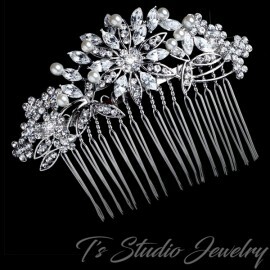 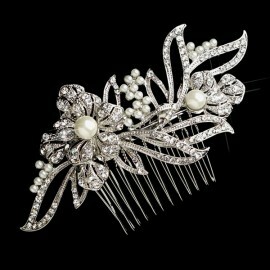 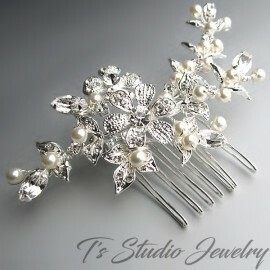 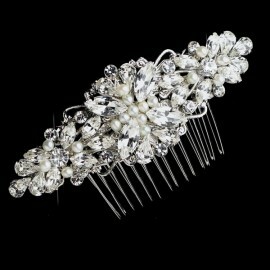 This comb is highly recommended for your next formal occasion.